The onset of cloud computing changes the playing field for your MSP company. 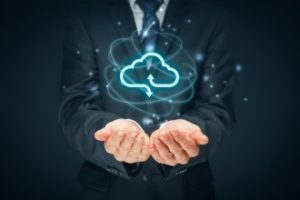 Many of your clients are aware of the cloud and they are quickly embracing the idea that their storage solution could be out in the cloud. With the acceptance of this technology, many of your potential clients are seeking IT solutions in cloud computing. There are many advantages that cloud computing offers your clients. The idea of cloud-based services promises data services that are accessible from everywhere, including their phones and mobile devices. It is a buzz word that many CEOs and other executives have picked up on as well. The future is seen in the cloud, and your clients don’t want to be left behind. The general idea from most clients is that they wish to use existing cloud services. They aren’t looking for a small host, but the big providers are not going to give them all the attention they need. This gap is where your business comes into play. To stay alive, you need to find a way to incorporate cloud computing into your business’ services. To keep your MSP company alive in these changing times, you need to adapt your business model. If clients want cloud access, your business needs to look into providing that service. Using third-party cloud services is one way to provide your clients what they want and keep them as clients to your business. To succeed at this, you must show your client that your business gives them extra value. For this, you have two primary services to offer your clients. The first service is the migration to a cloud service provider of their choice. It is a short-term project but is an excellent way to show clients your expertise and worth. For more consistent revenue streams, managing cloud services is a potential marketing avenue. The goal is to add value to their existing cloud computing. To do this, your company needs to analyze usage and optimize their services. By finding the right solutions for their cloud needs, you’re providing value to their company. This is an ongoing service, and as such, provides your company consistent revenue. Stability in the new cloud service market is achievable. Your staff – It is important that your staff has the correct training. They need to have the knowledge to deal with cloud computing. You are going to have difficulties if you try to offer cloud services without properly educated staff members. This is newer technology and your staff may require specialized information to properly service your costumers. Your sales team – Your sales staff needs to know how to sell your cloud computing services. Make sure they have everything they need to properly market your new cloud-based services. Things to include are key phrasings, most notable benefits, and service packages they can market to your prospective clients. Build a relationship – When you are reselling cloud services, you need to have a cloud service that you trust. Working with the right provider increase the level of service you can offer your clients. At first glance, the move to the cloud looks scary for your MSP company, but it doesn’t have to be that way. With the right planning and business sense, it is possible that cloud computing could propel your business forward. Embrace the future by finding ways to integrate cloud services with your MSP packages. 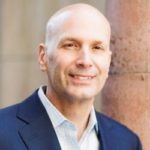 Mark McGarvey is president of One Click Solutions Group, a managed services in San Francisco and security provider serving small and mid-sized businesses with 20 to 100 employees in the Bay Area. Mark began his career in msp consulting, before living in San Francisco, in the 90s as a senior support technician for a then-small company in Austin, TX called Dell. After working for a number of organizations in desktop support/management and systems administration, Mark realized a passion for two things: Ensuring computer systems ran smoothly and keeping the people that used these systems happy and productive.This passion helped him get his IT business started in San Francisco! As a small business owner, Mark empathizes with other business owners that need computer support in San Francisco and understands the things dearest to them: Increasing productivity and efficiency and keeping costs low and ROI high.